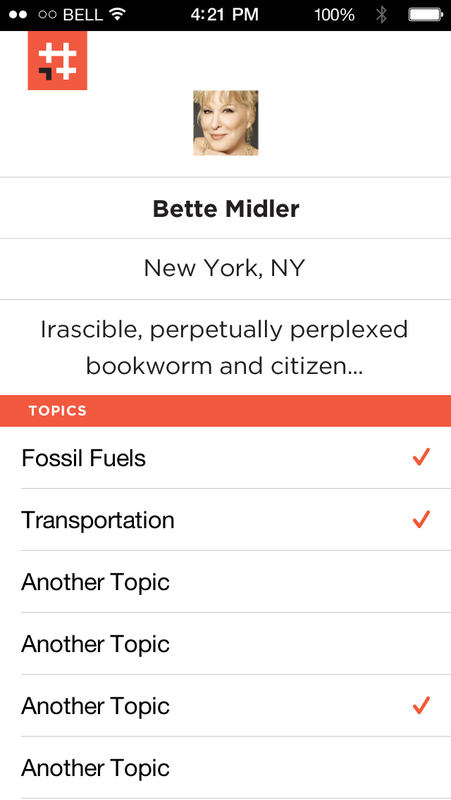 We're curators for the climate, presenting the catalyst for change in one beautiful, efficient app. 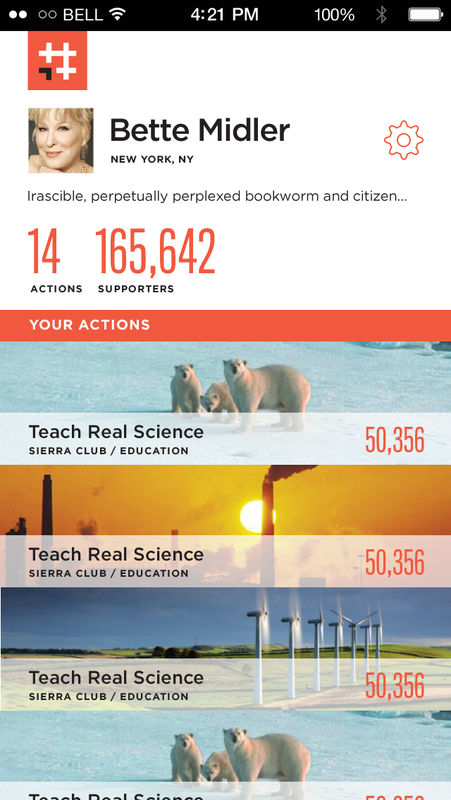 You're ready to take action against climate change, and you're not alone. #climate (hashtag climate) was created with your leadership in mind, harnessing social power for the greater good. We have built a platform for radically simple amplification that unites vital, tangible, climate-saving solutions from the leading climate orgs with the most thoughtful, impactful influencers. 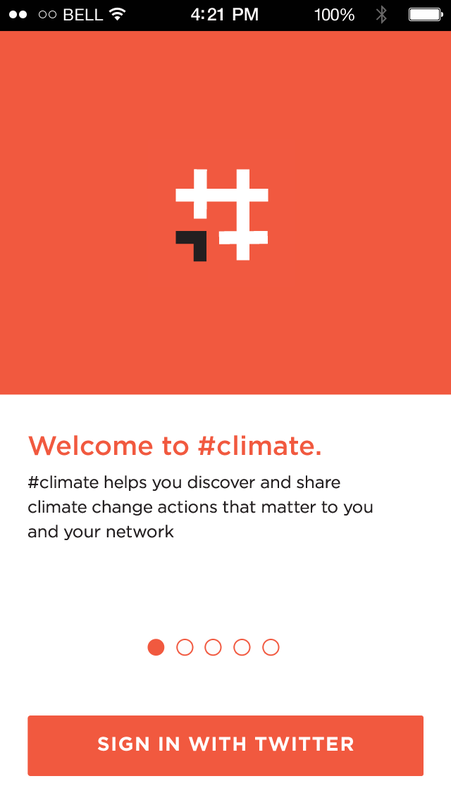 #climate: A platform for change Actions, personalized just for you. Snapshot of an action. 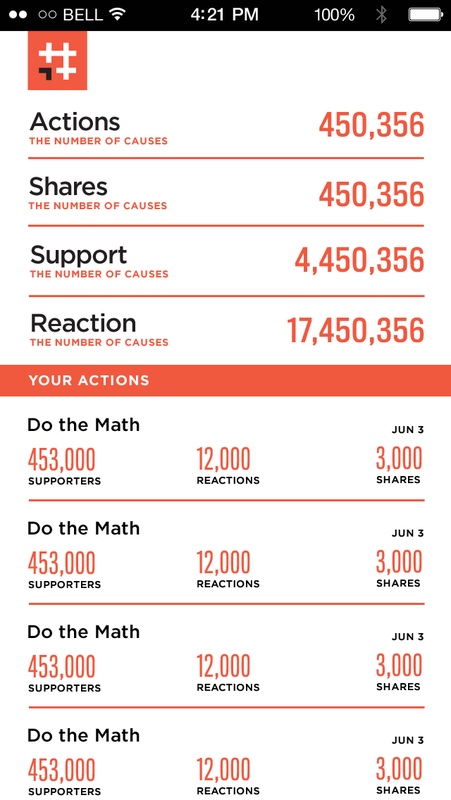 Share actions with just one click. 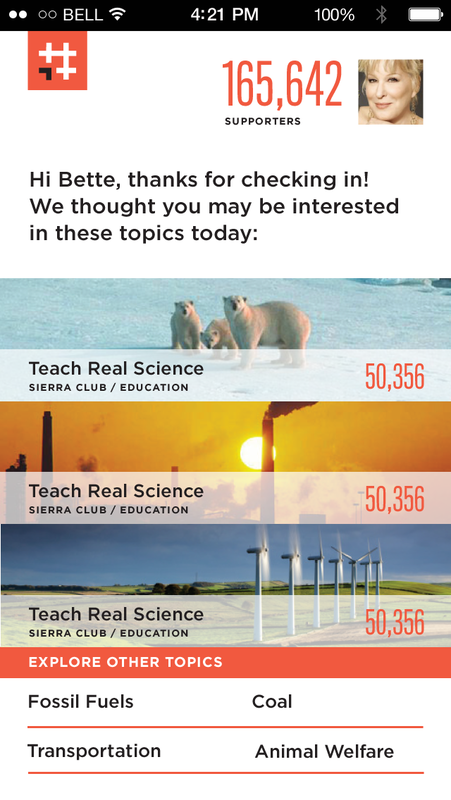 Build a climate profile in seconds. Profile details. Track your success. Josh Felser is a serial entrepreneur with a passion for technology, innovation and the environment. Felser is co-founder of Freestyle, an early stage venture fund. Prior to Freestyle, he started two successful Internet companies, Spinner and Grouper, which were acquired by AOL Time Warner and Sony. He graduated from Duke and Fuqua, where he's currently on the board of the Center for Entrepreneurship. Felser woke up to the challenge of battling climate change over a year ago after Bill Mckibben scared the hell out of him. Steve Simitzis is a software architect with two decades of tech and non-profit experience and a lifetime of working to halt climate change. Simitzis was the founding engineer of Critical Path, an early pioneer in cloud applications. He also brings 10 years of experience in entertainment and mobile apps, including community-based air pollution tracking with Intel Labs. Operating on the firm belief that technology exists to solve human problems, Simitzis plans to rope in the tech community to help with the fight against climate change. Joshua Kaufman is an independent product designer living in San Francisco. Previously, he led user experience at the ExactTarget Social Media Lab, designed mobile applications at Punchcut, and led the design of Radar, one of the first mobile photo sharing services. He's passionate about design, cycling, and products that make a positive, lasting impact. Technologist and business guy Joseph Kumph has worked in Silicon Valley for more than a decade. On the tech side, he’s a generalist with special proficiency in iOS mobile development, Rails web development, and Linux/cloud administration. On the business side, he's operated an indie iOS dev shop through Kumph Corporation for the last 5 years. Strohl is a San Francisco-based design company headed by Eric & Christine Strohl. Their expertise in visual brand identity has been featured in publications such as Communication Arts, Wired, and The Type Directors Club, and has been nominated for three James Beard awards. Their eclectic style turns the intangible into something visually unforgettable. #climate is proud to be supported by Sandler Foundation, whose mission is to help strengthen the progressive infrastructure, expose corruption and abuse, advocate for vulnerable and exploited people and environments, and advance scientific research in neglected areas. Veteran entrepreneur, philanthropist, and non-profit champion Zaw Thet serves as special advisor to #climate. Thet is chairman and founder of Palindrome Advisors, board member of After School All Stars, and an honorary board member of the San Francisco SPCA. Excited as we are? Tell us more about yourself, and we'll be in touch. Choose which best describes you.